End the hassle of sloppy, shop-made router jigs with the Woodpeckers Variable Router Jig, their latest OneTime Tool. You'll use Woodpeckers new Variable Router Jig over and over again thanks to its adjustment range to a near infinite number of sizes. The perfect holiday gift and for a limited time save $40 on Record Power's exceptional 12-piece Carving Tool Set that comes with a Quickstart Guide plus a one-hour instructional DVD. An excellent value, the Rikon 10-326 14" bandsaw offers 13" resaw capacity, a powerful 1-3/4 HP motor and tool-less blade guide adjustments. Save when you buy a Tormek T-8 Sharpener with a Hand Tool Kit until the end of the year! Get a Hand tool kit for 50% off regular price when purchased with a T-8 Sharpener. This special limited time package deal offer includes the Sjöbergs Elite 2000 Workbench with deluxe 6-drawer cabinet, plus an accessory kit that includes an adjustable bench holdfast, a set of cork jaw liners, and an all-purpose anvil for metal working at your bench. Chip carving is a form of relief carving in which the carver removes precise chips from the surface of the wood with a small extremely sharp knife. The instructor will demonstrate various types of cuts including cutting triangles, canoe shaped chips, and rosettes patterns. Then each student will practice by chip carving on practice boards. On Thursday, December 7th from 10am-2pm, representatives from Festool USA will be at Highland Woodworking in their giant Festool big rig, demonstrating the latest Festool power tools and answering your questions. Free lunch provided! 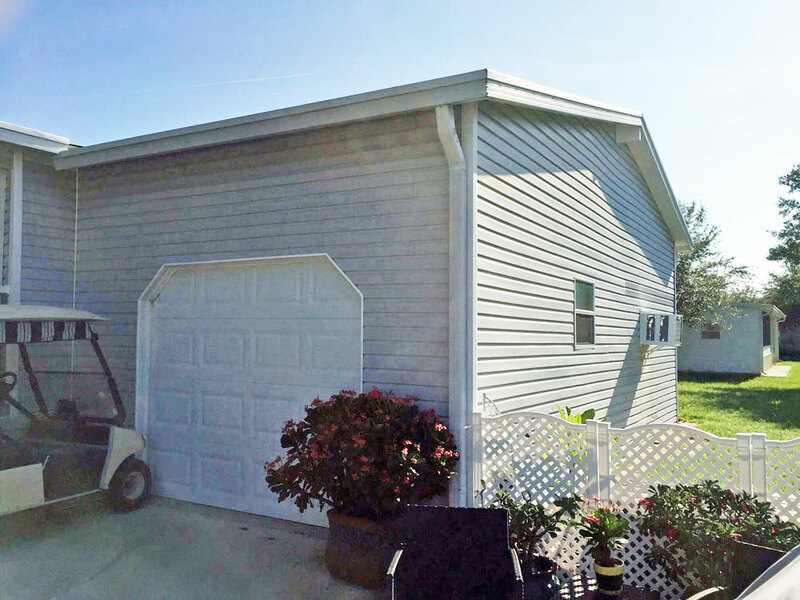 We're sharing Barry Hock's 340 square foot garage workshop located in Oviedo, FL. 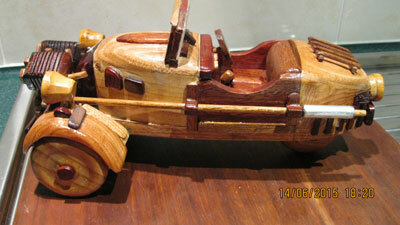 We're sharing several woodworking model projects made by David Turner, a member of Mens Shed in Canberra, Australia. 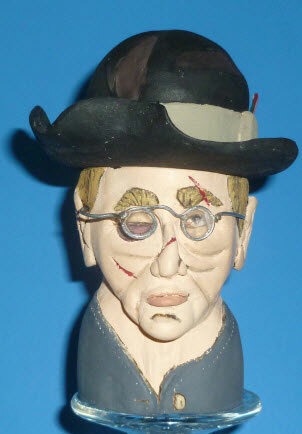 We're sharing wood carving projects made by Joseph Butler, who found his way into carving when his retirement came earlier than he was expecting. Steve continues discussing his barn build with roof installation, gives a quick product review of the Dust Collection Bag for Festool Sanders, and gets ready for the busy, holiday woodworking season. Alan discusses how he recently picked up a can of "odorless mineral spirits" and explains the differences between odorless and regular mineral spirits. This month, Jim shares a tip on how he cleans and stores funnels and containers used with wood finishes, as well as a money-saving tip on how he is able to read online publications without having to pay extra for wifi. Jim Randolph asks: "What Woodworking-Related Gifts Do You Get for the Holidays?" Saltcedar is an invasive species which has negatively affected the ecology of the desert Southwest. However, it has a wood which is hard and strong with a rich red color. In this article I discuss the origin of the wood and how I used it to make a box. Jeff Fleisher reviews a variety of handy tools that make great stocking stuffers and small gifts for the holidays! Highland class instructor, Jim Dillon, recently interviewed Gary Rogowski, author of Handmade - Creative Focus in the Age of Distraction. Every now and then comes a book that squeezes a lot of informative material into a highly readable and fun package. Jim Tolpin and George Walker's latest effort From Truth to Tools is just such a book. This is a fun read that's easy on the mind and informative at the same time. Narex Spoon Carving Starter Kit Makes a Great Gift! A great gift item for any level of woodworker and non-woodworker. Spoon carving is an easy craft for beginners to start successfully, and once you get started, the possibilities are endless! After just releasing her first book, Carving the Acanthus Leaf, and teaching a woodcarving class here at Highland, we sat down with carving extraordinaire, Mary May, to find out more about her carving career. In this video project series, Morton shows the step by step process of making the Hock Kitchen Knife Kit. This month's discounts include: Making Tiny Toys in Wood, Quick & Cute Carving Projects, Compound Christmas Ornaments for the Scroll Saw, and Great Book of Woodworking Tips.